Comments: Navigation, Leather Seats, Single DVD Entertainment! This white knuckle clear coat van has a 6 speed auto transmission and is powered by a 283HP 3.6L V6 Cylinder Engine. Our Grand Caravan's trim level is GT. 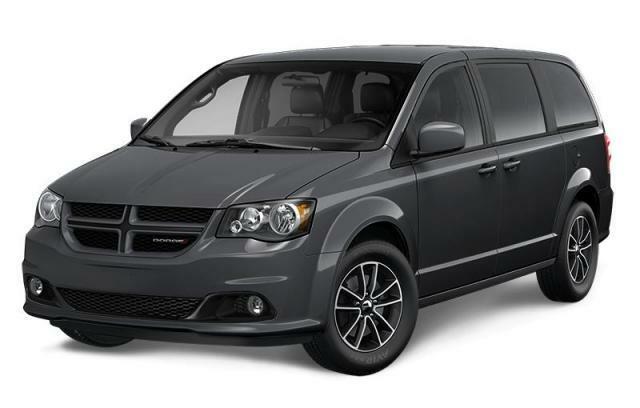 The top trim for the Grand Caravan, this GT comes with amazing chrome accents, aluminum wheels, performance suspension, power heated mirrors, power front windows with deep tint sunscreen glass, 2nd and 3rd row power windows, fuel economizer mode, automatic headlamps fog lamps, a roof rack system, dual power sliding doors, a power liftgate, 2nd row in floor Super Stow â€˜n Go seats, 3rd row Stow â€˜n Go seats with tailgate seating, a rear view camera, remote keyless entry, a 115 V power outlet, and remote start for convenience and style. Keeping you and your whole family comfortable and entertained is a multimedia radio with a 6.5 inch touchscreen and 9 premium speakers, SiriusXM, Bluetooth, an auto dimming rear view mirror, a heated leather steering wheel with audio and cruise controls, heated leather seats, power driver seat, automatic tri-zone climate control, ambient lighting, rear reading lamps, and an electronic vehicle information center. This vehicle has been upgraded with the following features: Navigation, Leather Seats, Single Dvd Entertainment. View the original window sticker for this vehicle with this url http://www.chrysler.com/hostd/windowsticker/getWindowStickerPdf.do?vin=2C4RDGEG7KR530937. Buy this vehicle now for the lowest bi-weekly payment of $243.73 with $0 down for 96 months @ 4.29% APR O.A.C. ( taxes included, $725 Fee includes - Administration, Air Levy, Tire Tax and FREE tank of fuel. / Total cost of borrowing $7814 ). Incentives expire 2019-04-30. See dealer for details.